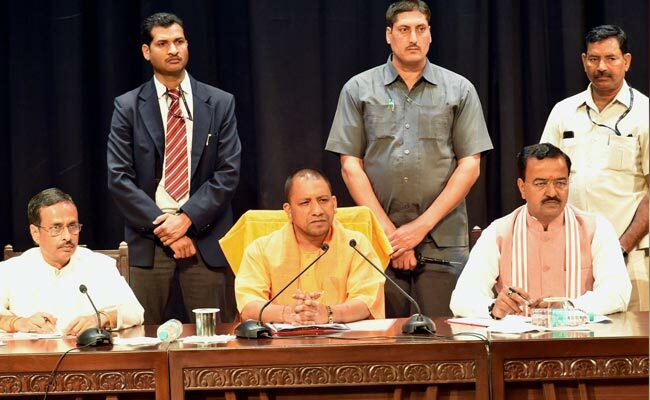 Yogi Adityanath led UP Government today approved Detailed Project Reports (DPR) for metro rail projects for Agra, Kanpur and Meerut cities. Lucknow: The Uttar Pradesh Chief Minister Yogi Adityanath is very serious about the proposed Metro projects in Uttar Pradesh. According to officials of the Lucknow Metro Rail Corporation (LMRC), the approval of the Detail Project Report (DPR) of the Metro rail projects in Kanupar, Meerut and Agra has been received by the Deputy Government. After this the DPR has now been sent to the Central Government for approval. Hopefully this will soon be passed in the central Government cabinet too. LMRC Managing Director Kumar Keshav informed about this in a special interaction with Media. He said, the UP government has approved the DPR prepared for the metro rail projects in Kanpur, Meerut and Agra cities. This proposal has now been sent to the center. He said that after receiving approval from the Union Urban Development Ministry, the DPR will be sent to the central government cabinet. After approval of the Cabinet, further work will be started. Kumar Keshav said that the DPR of the proposed Charbagh-Basantkuj Corridor in Lucknow has also got approval from the government. Soon this proposal will also be sent to the center for approval. After clearance from there, the way for the construction of the Metro Rail project in these three cities will be clear. Significantly, the state government is serious about running Metro in major cities of UP. Based on the central policy, revised proposals are being prepared for this. According to sources, the revised DPR has been prepared for the metro rail in Meerut, Kanpur and Agra. The central government has come up with a new Metro rail policy in 2017. The center had asked the states to send DPRs on its basis, only after the DPR has been sent to LSRR for Meerut, Kanpur and Agra. The Housing and Urban Planning Department has prepared a DPR for Metro Rail on the basis of central policy. According to departmental sources, 32 95 kilometers of Meerut, 32 km in Kanpur and 30 kilometers Metro in Agra will run. In these three cities two corridors will be built for the Metro. The work of both the carriors is likely to be completed in year 2024. In these three cities, about four thousand crore rupees will be spent on the metro.